well its sucking air again. i dont know or even see how it could be the intake but i am going to replace the injector blocks just to eliminate it. i did an AFR test on my brothers car, his is an O2 car but it is not connected, AND, his car is running very rich. but what i was more concerned with is what his AFR's were at 2500, 3k and 3500. his where all the same, 13.5.
mine gets leaner as the RPM's go up, which i think is due to more air gettting sucked in. i have seen the blocks with heat insulators, but are those really needed. i am just thinking that adds another gasket and a place to leak. any suggestions on which ones or best price? oh, i drove it with gauges on for about a month, steady 3.6bar CP. put them on last week and syspressure was down to 5.9 from 6.2 and CP was down to 3.4- 3.5bar. i did a FP test a while back. i removed the input line to the FD and ran it there. the FP's passed the volume test. Gaskets and injector crush washers included. 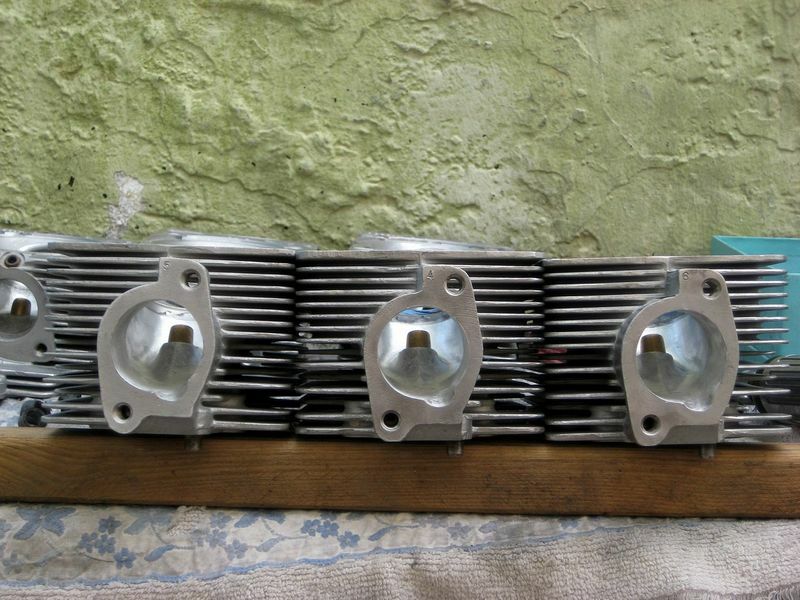 The insulators are necessary so the cylinder heads' heat does not transfer to the blocks. Unlike the stock blocks that warp and crack if you look at them wrong, these will last pretty much forever. Turbo Kraft all the way! If you are traveling at the speed of light & turn on your headlights, does anything happen? If your aluminum injector blocks are the same thickness top to bottom as the original plastic injector blocks and then add 10mm for the heat insulator and extra intake manifold gasket with it, do you use 10mm longer intake manifold studs or just thread them into the intake manifold about 10mm less with red loctite? Also, if you used longer studs to keep the same amount of thread engagement in the flat 930 intake manifold, where did you get them? Chris, if you see my question here I'd like to hear your opinion on this too. TK's billet CIS injector blocks + insulators combined are the same overall installed height as the stock plastic injector blocks. Same for our v2.0 EFI Injector Blocks (ex: 5.7GT1's build). 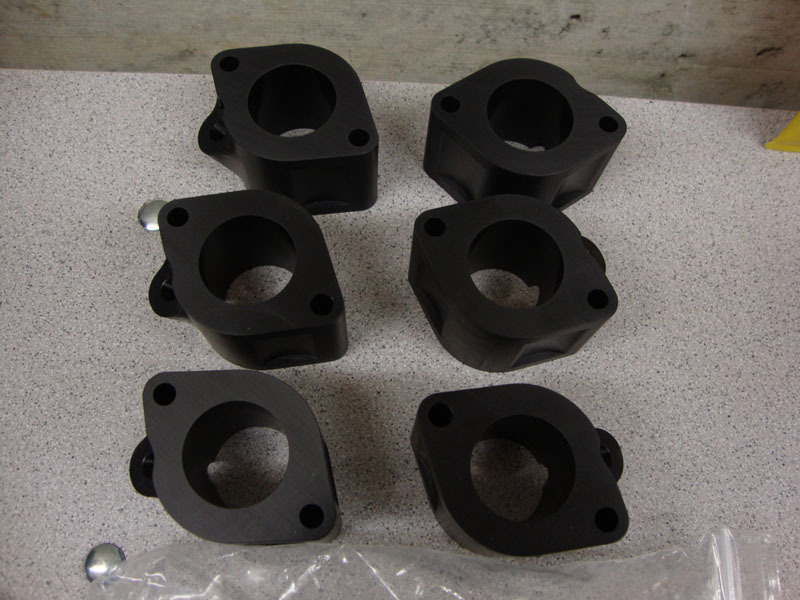 While you posted that I was starting another thread because I have some 40mm aluminum CIS injector blocks I bought used a while back and the blocks are the same thickness top to bottom as the stock plastic 930 blocks. I got some 40mm hole heat insulators and gaskets to use with them from another place and they are 6.3mm thick and then 10mm thick with two gaskets, one for each side that came with them. The gaskets are thicker than the stock 930 gaskets but fit perfectly and I'd like to use them. I have stock 930 gaskets that are thinner for between the top of the injector blocks and the intake manifold and I carefully cut the holes from 32mm to 40mm with an xacto razor knife. It worked well. Anyway, I'm still wondering if there will be enough thread engagement with the stock studs in the cylinder heads without ripping the threads out of the heads if I thread them into the heads 9 mm less and then torque the manifold stud nuts down to 18 foot pounds? Or only torque them to say 14 foot pounds and use some hylomar gasket sealer on the gaskets? I could also skip the wavy washers that go under the nuts and use low strength green loctite on the nuts to keep them in place so there is a little more thread engagement for the studs into the cylinder heads. Why not machine down the top of the billet block to make the assembled stack the same overall height as the stock one? That should be really inexpensive at a local machine shop. Hi Chris, I'm out of money to spend on putting this thing back together. A machine shop around here would not be low cost to do that to 6 injector blocks. Is it possible to just thread them into the heads a little less without ripping the threads out? 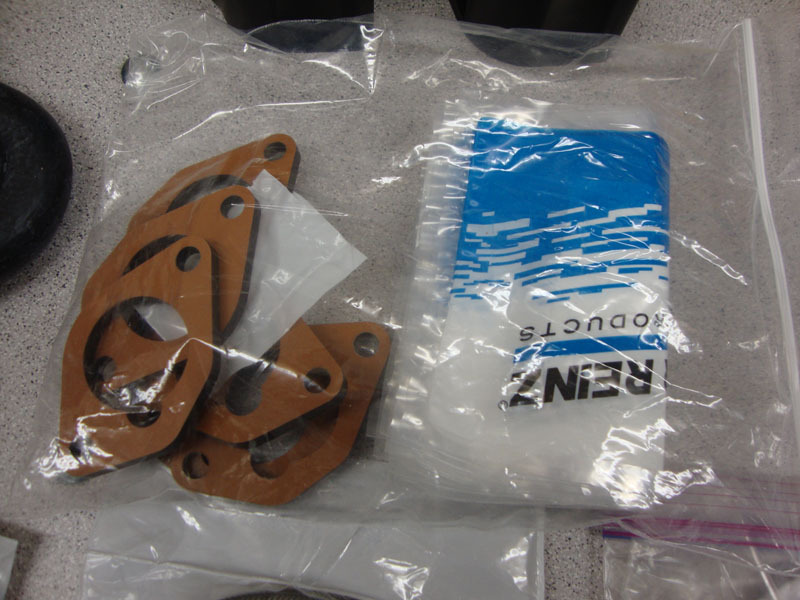 Or go gasketless with hondabond 4 sealent and wavy washerless and then green loctite the nuts and screw them on just enough so the tops f the nuts are flush with the top end of the stud? What bad heat soak problems into the CIS injectors will I experience if I go without the heat inulators and just use the thicker than stock gaskets I have? No one has ever actually said what will the problem(s) you will experience actually be. JFairman- What bad heat soak problems into the CIS injectors will I experience if I go without the heat inulators and just use the thicker than stock gaskets I have? If you have a stock fitting intercooler that extra 10mm is going to cause you some fitment issues at the throttle body, if it's not you'll still have to make up the extra cm somewhere. 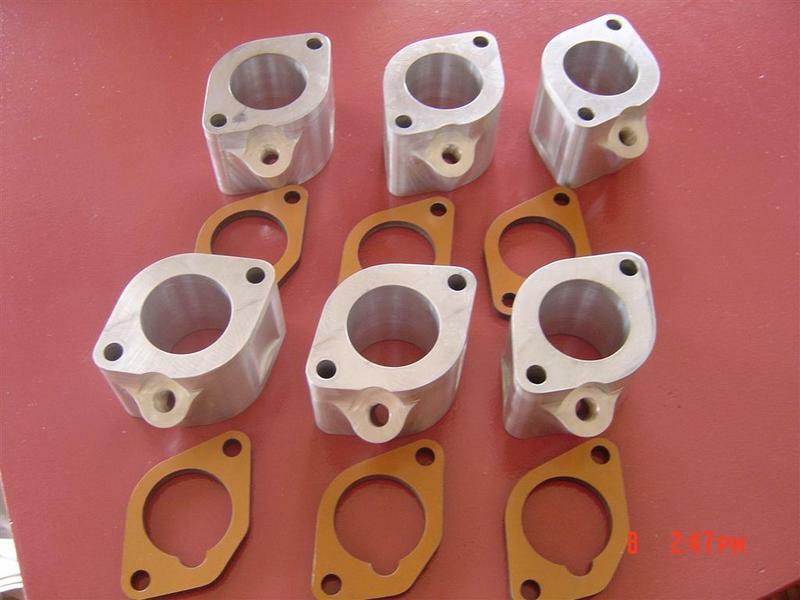 A machine shop could do the blocks in no time at all and likely for little cost relative to shifting components up or down 10mm. As usual, I didn't think of that and I can see how that would happen if my combination of aftermarket aluminum injector blocks, heat insulators and 3 gaskets on each stack is 10mm taller than stock. I'm using a Kokeln intercooler that fits really nice with the o-rings on each end so it would bind at a slight angle on the inlet and outlet pinching the o-rings and fit badly if I don't do as you said. I'll have to check some local machine shops and go from there. Thanks again for bringing that to my attention now I think you just saved me a bunch of frustation and time. not to mention this will also put your CIS fuel metering assembly up 1 cm - so maybe injector lines won't fit properly either. I was thinking more about what you guys said and the back of the intercooler, injectors, throttle body, CIS airflow meter unit and fuel head are all hard mounted on the same intake manifold so they are all going to be raised up the same amount together at the same time so those fitments will not change, right? My charge pipe is already cut off at the bottom and fit's into the turbo outlet with a section of thick wall multi ply blue silicone hose and T bolt clamps so the bottom of the charge pipe will raise up around 8-10mm inside that hose and with the hose clamps snugged down that won't matter. I can always get a longer piece of hose if I need it. The intercooler will end up closer to the screen in the tail but there was some extra clearance between the top of the intercooler and the screen before so that shouldn't be a problem either. I was just on the phone with Frank ~ xbmwguy, he lives nearby and he mentioned that what will change is the intercooler mount position on the ignition coil bracket on the fan housing. He's been through this with his intercooler installations and he fixed that problem by installing shims (i think washers will work) on the studs on the fan housing that the coil bracket and intercooler mount attaches to so the whole bracket is raised up and over to the left a little. I may have to also slot some of the holes a little that the intercooler mount bolts go through with my die grinder and a carbide bur and I'll just figure that out when I do it. Fresh air tube to the turbocharger will fit worse as well. You're raising the top half of the engine, it's secured to the bottom half. Already this is starting to sounds like an unnecessary tangent and a lot of little adjustments, with no upside. If no one will do it for a reasonable price, mail them to me and we'll do it free. Least we could do for all your contributions to this board. FWIW -- we use a very high temp phenolic for our insulators, and there is no gasket installed between the insulator and the aluminum block. Heat soak in the aluminum block --> heated injectors, pre-heated fuel. No bueno. Exact opposite of a fuel cooler. 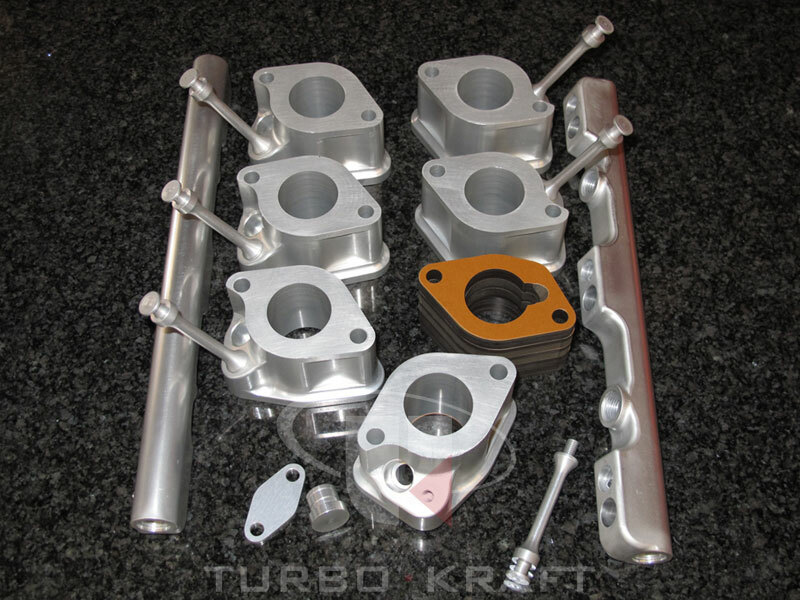 THESE are the best aluminum injector blocks! Those are very nice looking injector blocks. They look like maybe they have two injectors or something. I've never seen ones like that before. 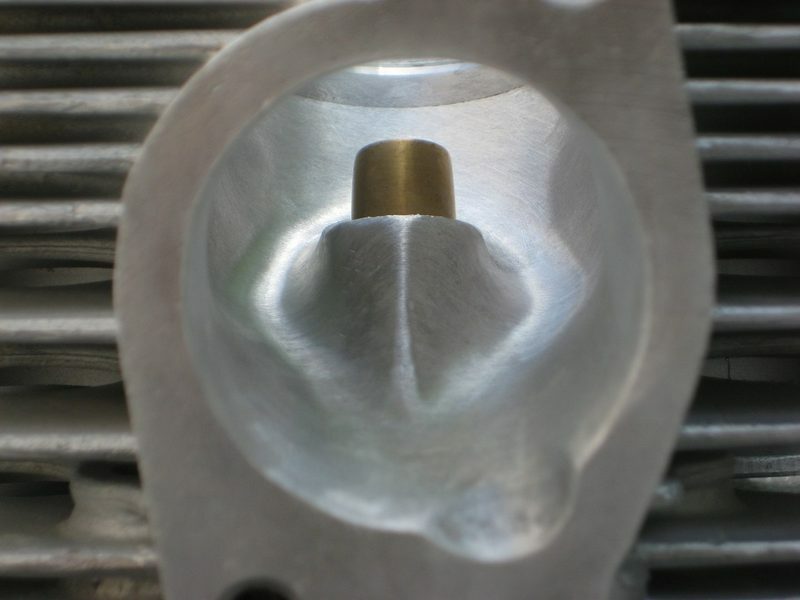 It was great talking to you a little while ago Chris, and here's a pic of one of the intake ports on the other set of heads I have I port matched to my 40mm injector blocks last June. The new valve guides were already in there and the valves and valve seats were freshly ground so I put short pieces of fuel line over the guides to protect them from the carbide bur and sanding cones while working around them. So on my itb set up i'll be using your phenolic insulators between the heads and my manifolds. Should i not use gaskets? just maybe some loctitie 574? chris, i looked at the pic you posted in your first post of the blocks installed, there IS a gasket between the phenolic and aluminum. that is fine, i would feel better having one and not sure how it would not leak if there was not one. 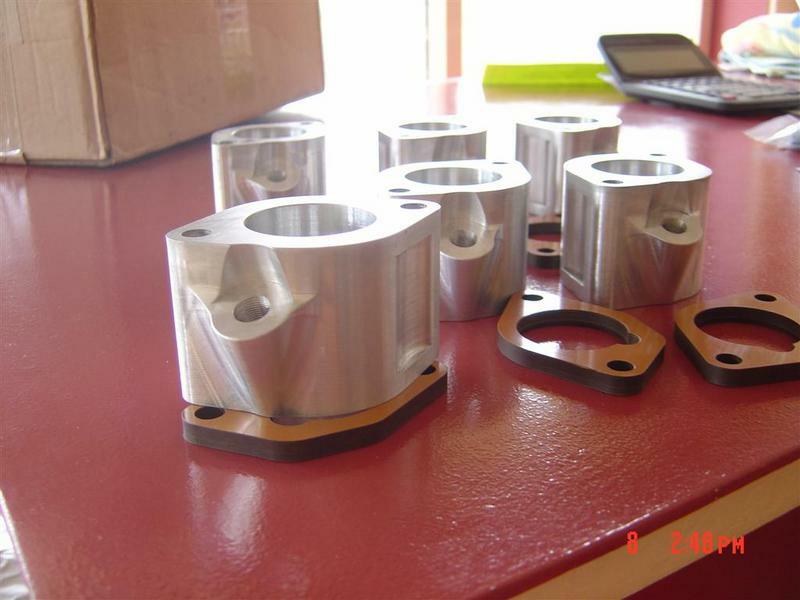 if your aluminum+phenolic+gaskets is the same height as the stock injectir blocks i will take a set. chris, what about maching the intake itself instead of the injector blocks? i question the flatness of my intake. i think it has deformed somewhat to the shape of how the plastic blocks are deformed, plus i have some minor pitting.